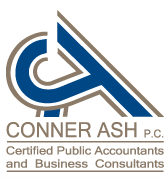 Founded in 1926, Conner Ash is one of oldest pubic accounting firms in the St. Louis Metropolitan area. The firm opened the Technology division in 1986 and selected Sage 100 software as the product of choice for their clients. Conner Ash is not only a Sage Certified Partner, but also has Sage Certified Trainers on staff. By providing excellent training, on-going support and free bi-weekly technical webinars we empower our clients to be knowledgeable and self-sufficient in their use of Sage 100. Sage Software Business Partner and Sage Certified Trainer – Software Consulting, Implementation, Training and Support for Sage 100, including custom Crystal Report Design. Conner Ash serves clients throughout the United States from its centrally located offices in St. Louis, Missouri.